Visiting scholar, Department of Chemistry, University of North Carolina at Chapel Hill. Adjunct professor, Department of Chemical Engineering, Case Western Reserve University, Cleveland, Ohio. Fellow, and Society Historian: The Electrochemical Society. Retired from Argonne National Laboratory after thirty years of research. Currently maintains three electrochemistry informational websites. Thede websites are hosted by the The Electrochemical Society, Inc. (ECS). Editor of a regular column in the Electrochemical Society Interface Magazine: “Websites of Note”. anodic formation of porous silicon and silicon dioxide layers. Electrocatalytic effects of trace anion impurities were determined for a number of systems. It was demonstrated that catalysis can occur at concentration levels below the sensitivity of most analytical techniques, consequently previous measured rate constants can be many order-of-magnitudes larger than the true values. Fast heterogeneous charge-transfer reactions were also investigated in high-temperature molten salts and in high-temperature/high-pressure aqueous solutions using DC transient techniques. Numerical computer models of a variety of DC transient techniques (potentiostatic, galvanostatic, and coulostatic single- and multiple-pulse techniques) were developed incorporating many aspects which are usually ignored. The rise time of pulses, the potential dependence of the charge-transfer coefficient and the double layer capacitance were all accounted for. These models are useful for determining the applicability limits of the techniques, for carrying out numerical data analysis, and for determining the reliability (confidence limits) of the calculated parameters. Z. Nagy, in "Electrochemistry - Past, Present, and Future," S. Fletcher, G. Inzelt, and F. Scholz, Editors, Springer, Berlin, (special issue of the Journal of Solid State Electrochemistry, Vol. 15, No. 7/8, pp 1679-1695) 2011. Z. Nagy, in "Electrochemistry - Past, Present and Future," S. Fletcher, G. Inzelt, and F. Scholz, Editors, Springer, Berlin, (special issue of the Journal of Solid State Electrochemistry, Vol. 15, No. 7/8, pp 1805-1809) 2011. Z. Nagy and H. You, in "Modern Aspects of Electrochemistry," R. E. White, Editor, Vol. 45, Ch. 5, Springer, New York, 2009. Z. Nagy, in "Modern Aspects of Electrochemistry," R. E. White, B. E. Conway, and C. G. Vayenas, Editors, Vol. 37, Ch. 5, Kluver/Plenum Press, New York, 2004. H. You and Z. Nagy, in "Current Topics in Electrochemistry, 2," p. 21, Research Trends, Council of Scientific Research Information, Trivandrum, India, 1993. Z. Nagy, in "Modern Aspects of Electrochemistry," J. O'M. Bockris, B. E. Conway, and R. E. White, Editors, Vol. 25, Ch. 3, Plenum Press, New York, 1993. Z. Nagy, in "Modern Aspects of Electrochemistry," R. E. White, J. O'M. Bockris, and B. E. Conway, Editors, Vol. 21, Ch. 6, Plenum Press, New York, 1990. Z. Nagy, Plenum Press, New York, 1985. J. O'M. Bockris and Z. Nagy, Plenum Press, New York, 1974. Z. Nagy in "Historical Perspectives on the Evolution of Electrochemical Tools," (ECS Special Volume SV2002-29) J. Leddy, V. Birss, and P. Vanysek, Editors, Ch. 14, pp 235-240, The Electrochemical Society, Pennington, New Jersey, 2004. Z. Nagy and H. You, Electrochim. Acta, 47, 3037 (2002). T. E. Lister, Y. Chu, W. Cullen, H. You, J. M. Mitchell, R. M. Yonco, and Z. Nagy, J. Electroanal. Chem., 524-525, 201 (2002). Y. S. Chu, T. E. Lister, W. G. Cullen, H. You, and Z. Nagy, Phys. Rev. Lett., 86, 3364 (2001). V. Parkhutik, Y. Chu, H. You, Z. Nagy, and P. A. Montano, J. Porous Mater., 7, 27 (2000). J. W. Halley, B. B. Smith, S. Walbran, L. A. Curtiss, R. O. Rigney, A. Sutjianto, N. C. Hung, R. M. Yonco, and Z. Nagy, J. Chem. Phys., 110, 6538 (1999). Z. Nagy, J. P. Blaudeau, N. C. Hung, L. A. Curtiss, and D. J. Zurawski, J. Electrochem. Soc., 142, L87 (1995). Z. Nagy and H. You, J. Electroanal. Chem., 381, 275 (1995). H. You, D. J. Zurawski, Z. Nagy, and R. M. Yonco, J. Chem. Phys., 100, 4699 (1994). Z. Nagy, L. A. Curtiss, N. C. Hung, D. J. Zurawski, and R. M. Yonco, J. Electroanal. Chem., 325, 313 (1992). L. A. Curtiss, J. W. Halley, J. Hautman, N. C. Hung, Z. Nagy, Y.-J. Rhee, and R. M Yonco, J. Electrochem. Soc., 138, 2032 (1991). Z. Nagy, N. C. Hung, and R. M. Yonco, J. Electrochem. Soc., 136, 895 (1989). N. C. Hung and Z. Nagy, J. Electrochem. Soc., 134, 2215 (1987). Z. Nagy and R. M. Yonco, J. Electrochem. Soc., 133, 2232 (1986). J. L. Settle and Z. Nagy, J. Electrochem. Soc., 132, 1619 (1985). Z. Nagy, Electrochim. Acta, 22, 191 (1977). 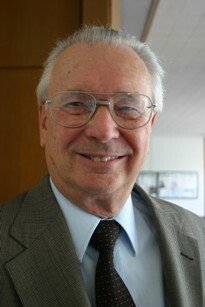 Z. Nagy, J. Electrochem. Soc., 124, 91 (1977). Z. Nagy, J. Appl. Electrochem., 6, 171 (1976). J. O'M. Bockris, Z. Nagy, and D. Drazic, J. Electrochem. Soc., 120, 30 (1973). J. O'M. Bockris, Z. Nagy, and A. Damjanovic, J. Electrochem. Soc., 119, 285 (1972).